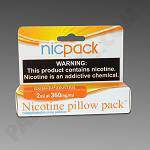 The system for evenly dispersing nicotine was first formulated in late 2013 to find a means for reduction of inventory and saving money. 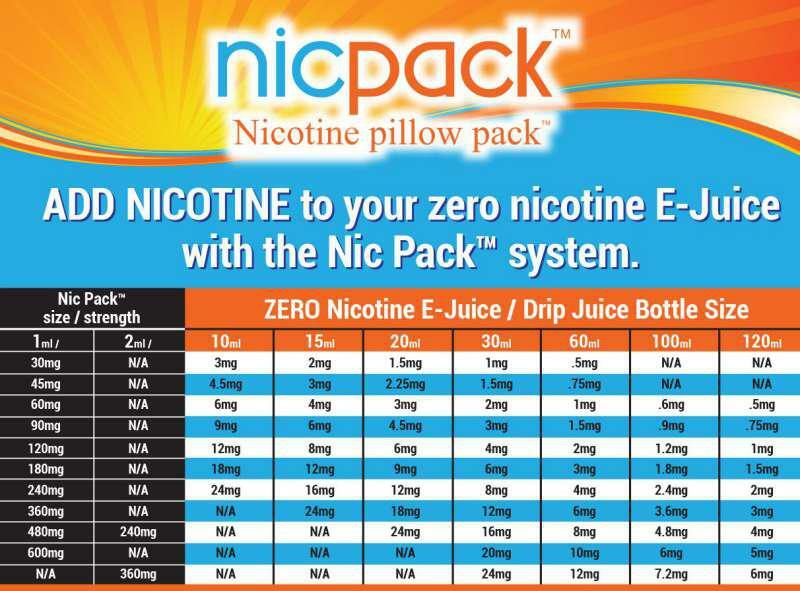 NicPacks in combination with Zero Nicotine E-juice Flavors! 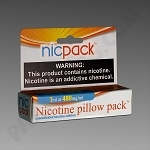 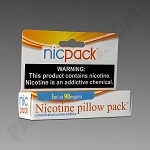 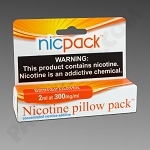 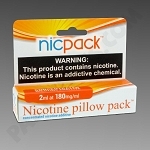 To convert a 30ml bottle of zero nicotine E-Juice to 3mg; use Nic Pack 90mg. To convert a 30ml bottle of zero nicotine E-Juice to 6mg; use Nic Pack 180mg. To convert a 30ml bottle of zero nicotine E-Juice to 12mg; use Nic Pack 360mg. To convert a 120ml bottle of zero nicotine E-Juice to 3mg; use Nic Pack 360mg. To convert a 10ml bottle of zero nicotine E-Juice to 24mg, use Nic Pack 240mg.